A news announcer reading the story of a comatose woman and her family's struggle with end-of-life questions repeats the details, take after take. Bender's use of an unedited recording that includes the news announcer's discussions with her producer is a meditation on the violently flattening effect of repetition. Listen to Artificial Treatment on UbuWeb. "Artificial Treatment." Take It or Leave It: Institution, Image, Ideology Digital Archive. 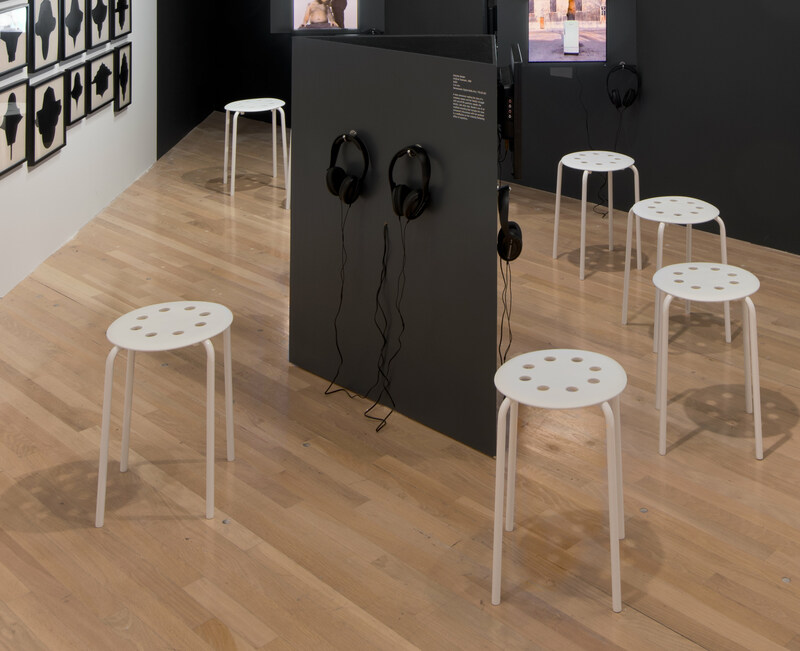 Los Angeles: Hammer Museum, 2017. https://​hammer.ucla.edu/​take-it-or-leave-it/​art/​artificial-treatment/​.